Should Publishing Houses Boost Facebook Posts? 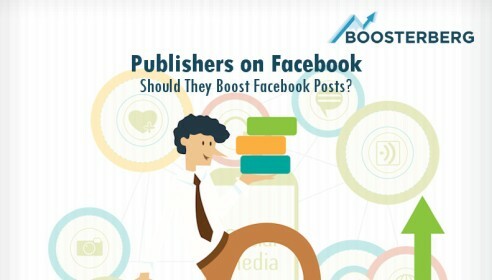 Home » Academy » Facebook Post Boosting How-Tos » Should Publishing Houses Boost Facebook Posts? Being a publishing house nowadays is not an easy job. When competing with the whole world, instant news is becoming the new standard and even getting the attention of your potential readers on Facebook is not that easy as it used to be. Actually, it’s not easy at all. Without paying for distribution of your posts (boosting, or using Facebook ads), you won’t get much support from Facebook in this field. And even if you decide to pay for the reach in order to get more readers to your website, you always doubt, if it couldn’t have been done better. Do nothing and hope, that the power of your content is strong enough that the Facebook algorithms will take notice, and that people will consistently share every single published post and so spread the word about your work. Employing specialists, who will analyze Page stats and Insights real-time and decide, which of the dozens daily Facebook posts deserve the attention and promotion money and which should be disregarded. Find a smart automation solution, that will do the work for you and at the end of the day, save you a lot of time and money. If you chose the third option, as many publishing houses in the world already did, you may gain from your Facebook budget much better results than until now. 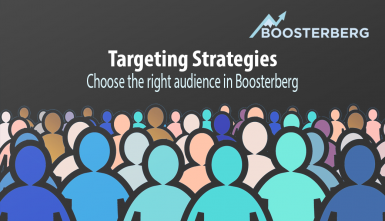 Boosterberg is a Facebook Post boosting automation tool, that picks only the most promising link posts from your Facebook Page and therefore bring the most traffic to your website with the same budget. The key difference is the ability to set up smart boosting conditions at the beginning of the campaign. You can also choose if you want to boost one Facebook post at a time or more of them in one ad set. Sky is the limit if you want to take your Facebook Advertising to the next level with Boosterberg. Try our 30-days FREE trial and enjoy the convenience. 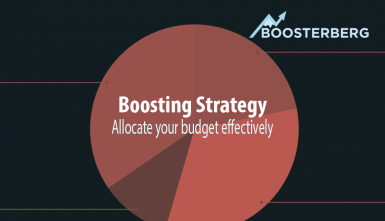 You are reading an article from Boosterberg Facebook Ads Academy. Here, we are sharing our knowledge on Facebook Advertising with you so you can benefit from all we have learned over the years of working with Facebook marketing. 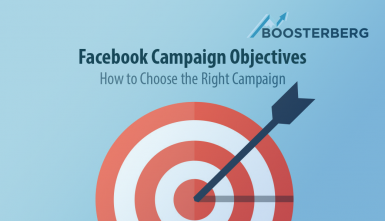 Moreover, our advanced expert tips on how to boost Facebook posts and increase the effectivity of Facebook Ads will help you optimise your Facebook Ad campaigns. Select a topic you are interested in to display all articles that are covering it. Facebook and Friends: Where to Now for the Global Advertising Platform? © Boosterberg.com 2016-2018. Developed by PS:Digital & Kremsa Digital.